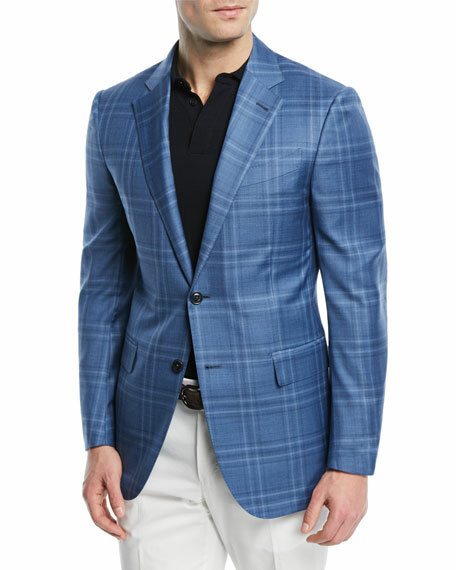 Isaia blazer in windowpane plaid. For in-store inquiries, use sku #2397863. 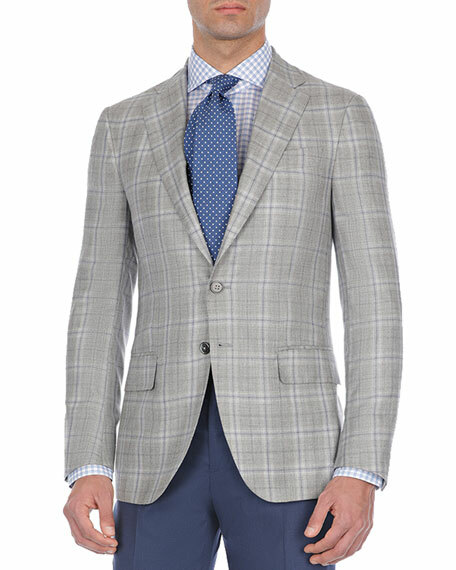 Brunello Cucinelli sport coat jacket in tonal plaid. 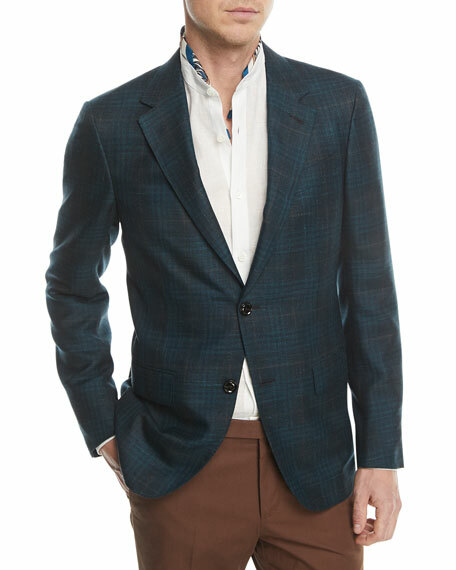 Peak lapel; two-button front. Four-button detail at cuffs. Welt pocket at chest. Flap pockets at sides. Double-vented back. Wool/silk/linen. Made in Italy. 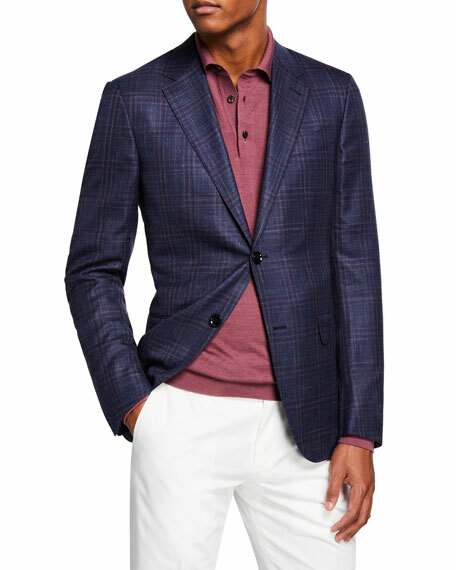 Ermenegildo Zegna sport coat with berry and plaid design. 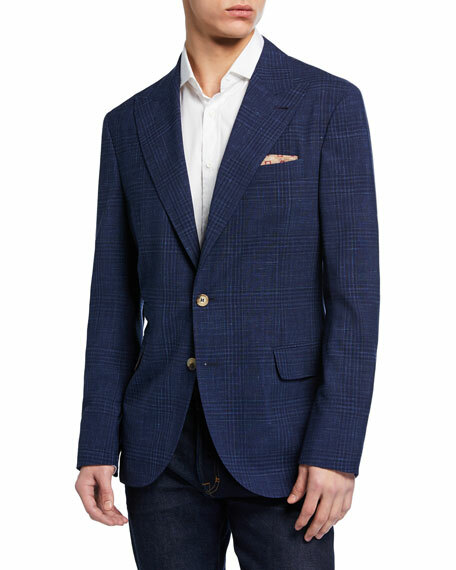 Notched lapel; two-button front. 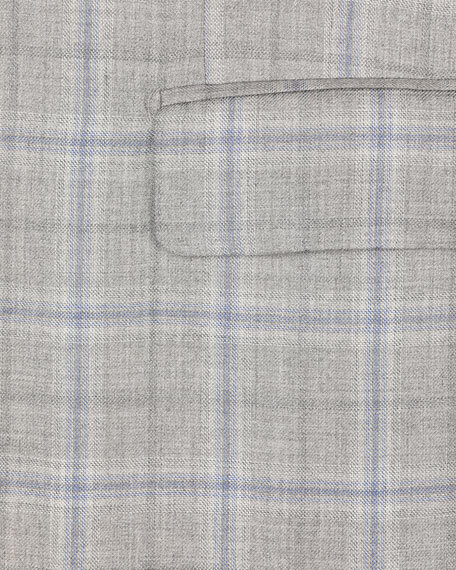 Side flap pockets; chest welt pocket. Basted sleeves. Double-vented back. Wool/stretch/linen. Dry clean. Made in Italy. 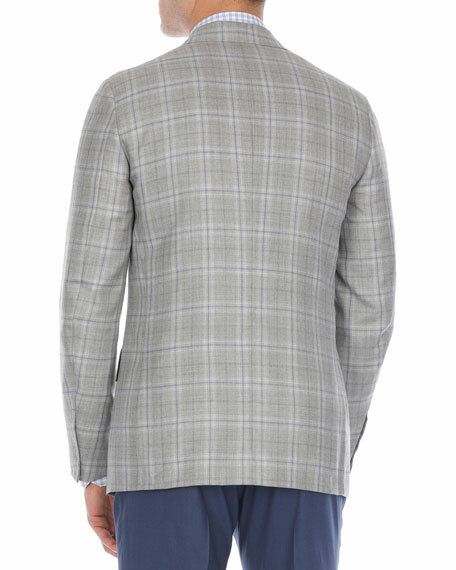 Ermenegildo Zegna jacket in tonal plaid. Notched lapel; two-button front. Lightly padded shoulder. Basted sleeves. Welt pocket at chest. Flap pockets at sides. Double-vented back. Wool/silk. Made in Switzerland. Ermenegildo Zegna jacket in triblend check. Notch lapels; two-button front. Lightly padded natural shoulder. Basted sleeves. Patch pockets at hips. Double vented back. Cashmere/silk/hemp. Made in Switzerland.